IBTM Arabia, part of IBTM’s global portfolio of meetings and events industry trade shows, has announced strong representation from Chinese and European buyers for its 2019 event, which will take place at Jumeirah Etihad Towers in Abu Dhabi from March 25-27. The proportion of Chinese buyers has increased this year to almost 15 per cent, including high profile corporate buyers such as Novo Nordisk Pharmaceutical China, HelmsBriscoe Asia, Thyssenkrupp Elevators Asia and Didi Chuxing. Other Chinese Hosted Buyers include China International Medicine Exchange Association International Service Center and World Travel Service Sichuan. European buyers are due to make up almost 70 per cent of buyers this year, including Framatome (France), Honeywell (UK) and Adevma Communication Ltd. (Germany). Other high-profile buyers at the event include representation from the Azerbaijan branches of BP, Baker McKenzie and OEG Offshore. A surge in incentive travel enquiries has also been reported by the event team this year, with Hosted Buyers increasingly enquiring about adrenaline-fuelled activities in the region such as Formula 1 experiences at Yas Marina Circuit in Abu Dhabi, as well as cultural tours of the Louvre Abu Dhabi, and the newly-opened Qasr Al Watan and Qasr Al Hosn. 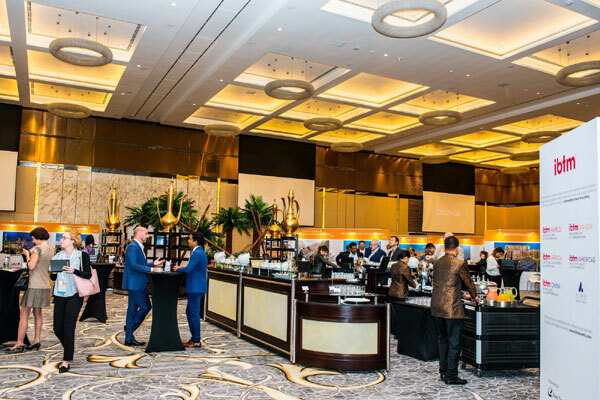 Danielle Curtis, exhibition director for Reed Travel Exhibitions Middle East, commented: “We’re pleased with the increased level of interest from Chinese and European Hosted Buyers to attend the event this year. The Middle East remains an incredibly dynamic market, and one where the Mice market is firmly in the ascendant. With governmental support, here in Abu Dhabi we’ve seen the country establish itself as a leading business events destination, and this is a trend being repeated across the Middle East and one which is gaining worldwide attention. IBTM Arabia, run in partnership with Abu Dhabi Department of Culture and Tourism, is an exclusive one-to-one appointment-led event, which mutually-matches Hosted Buyers and Exhibitors using IBTM’s bespoke ‘matchmaking’ software.